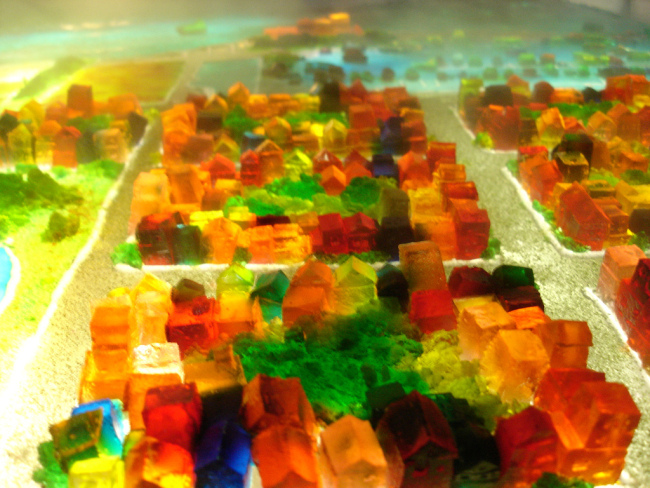 Artist Liz Hickok recreates accurate, scaled-down cities with Jello. The photo above is San Francisco and they are pouring on the "fog" before they do the photo shoot. 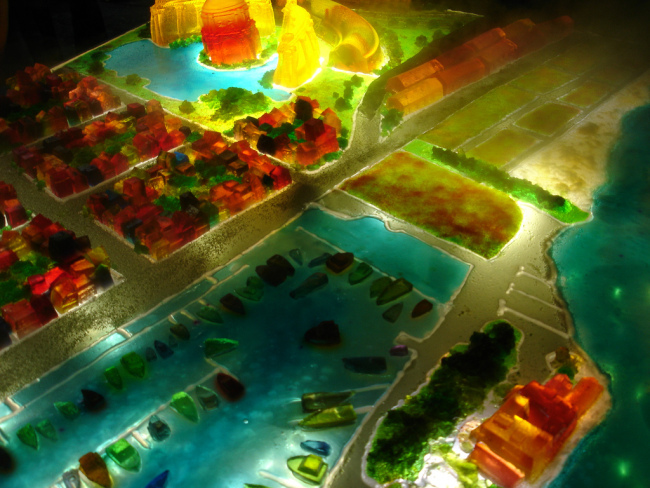 She has done several neighborhoods of San Francisco as well as Wilmington, Delaware and Scottsdale, Arizona. Her installations and photography are surreal, you can check them out and purchase them from her website here. Liz begins by taking photos around the city, capturing the facades of landmark buildings. Then she makes tiny models of the structures out of balsa wood and/or foam board. 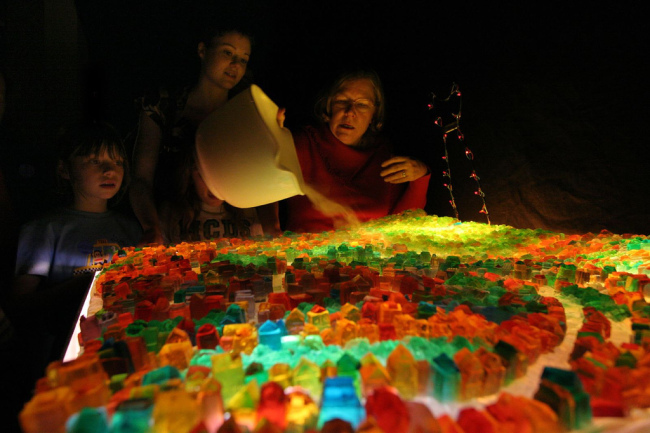 She pours up silicone molds of the models to make her Jello molds. 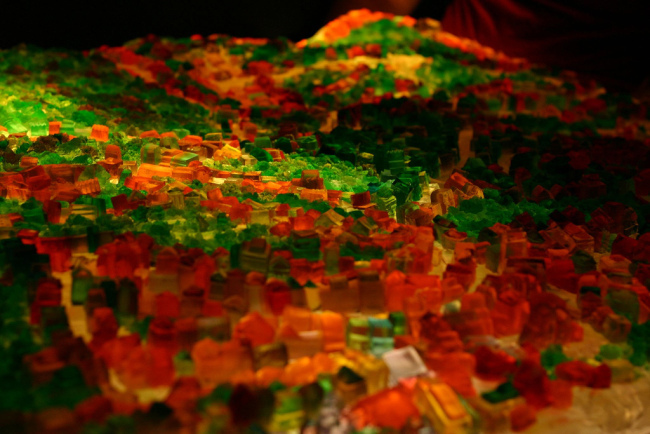 The last step in the process is taking a large aerial or satellite photograph of the city and laying in onto a table, making a ton of Jello, and placing the buildings into place. My favorite? San Francisco's Telegraph Hill during an earthquake; complete with fog and the skyline shaking appropriately... like a bowl of Jello.